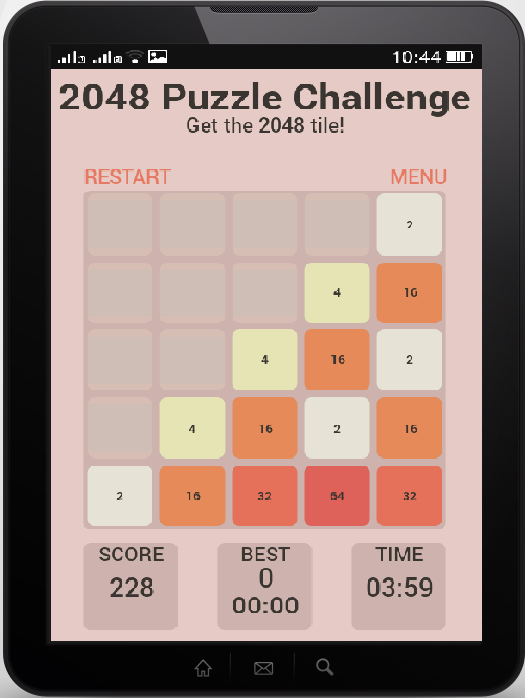 2048 Puzzle Challenge app is an amazing, addictive and a very simple number puzzle game. 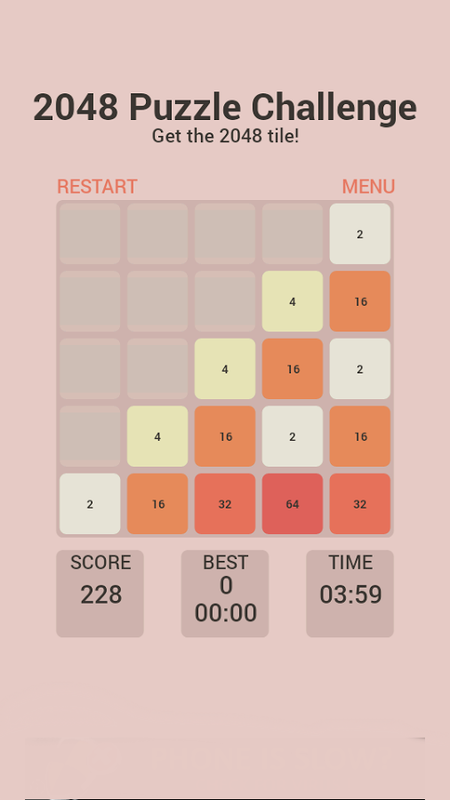 Join the similar numbers and get to the 2048 tile! 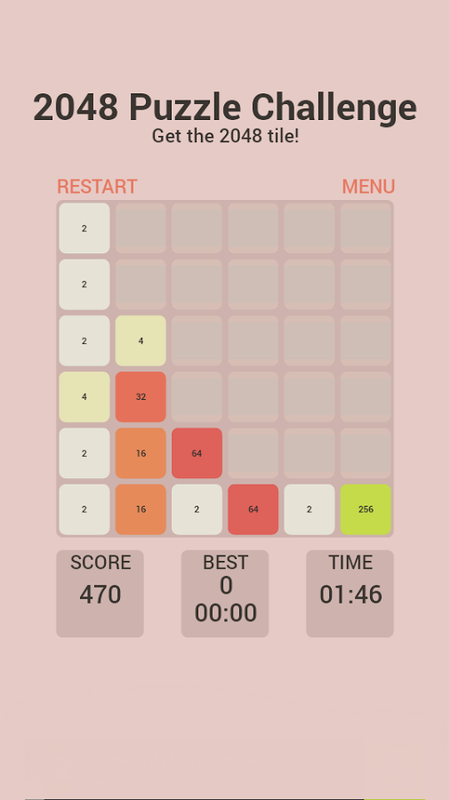 Smallest size puzzle game for 2048! 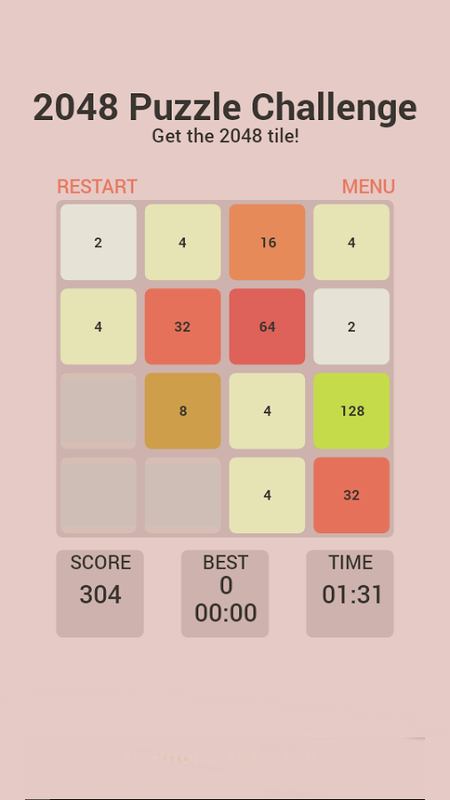 HOW TO PLAY: Swipe the numbered tiles horizontal or vertical to move the tiles. When two tiles with the same number touch each other, they merge into one, doubling the figure 2x2 binary. 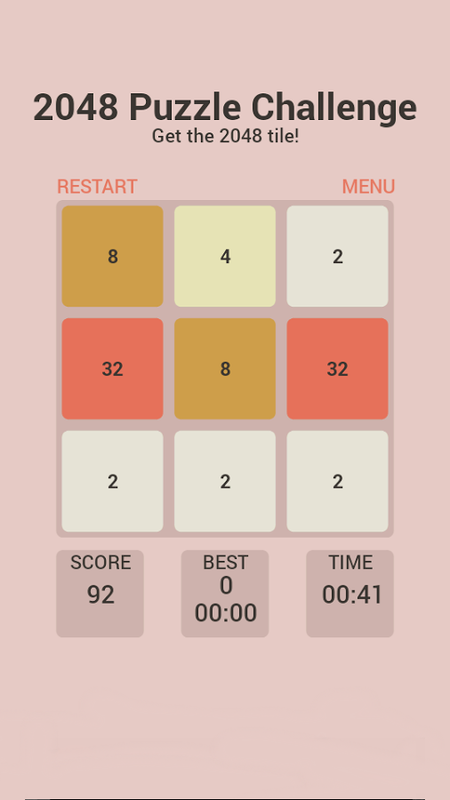 Whenever 2048 tile is created, the player wins! 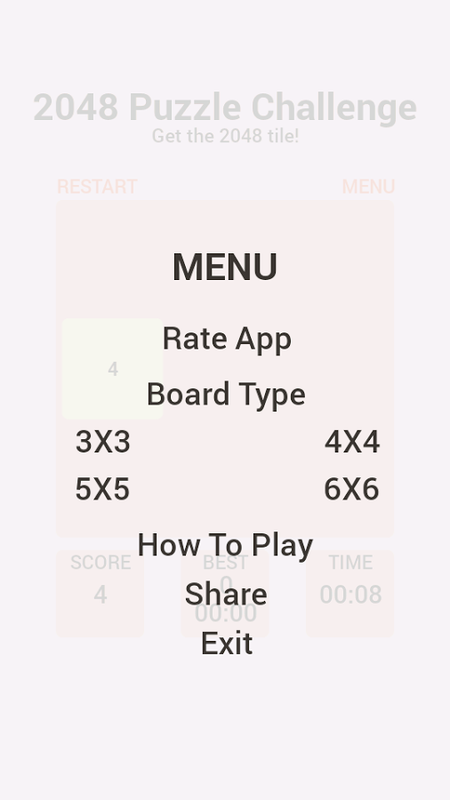 Game Features :- - ALL LANGUAGES SUPPORTED - Supporting landscape mode also - Added Animation, default on - Game is automatically saved - High score - Leaderboard - Share with friends - Rate Us - Completely native - Clean and Simplest UI - Game works for android 2.0* and above devices - Supports all Devices including Tablets. - Support more play modes: 1. 3x3 (default) 2. 4x4 3. 5x5 4. 6x6 Internet & network state permission is asked for sharing,rate. 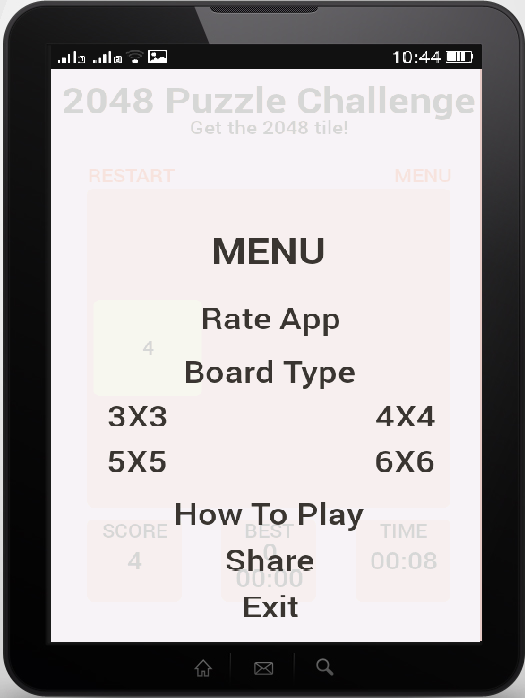 What are you waiting for Accept the Challenge, Enjoy Playing this game.